PAT Cosgrave has labelled The Cliffsofmoher the horse to beat in the Caulfield Cup as the Irishman plots successive Group 1 triumphs on Best Solution. Cosgrave made a spectacular Australian debut last week with Caulfield Stakes victory aboard Benbatl and hopes to make it two in a row with Saeed bin Suroor's well-credentialled Best Solution. But he has tremendous respect for Aidan O'Brien's The Cliffsofmoher, who motored late with sizzling closing sectionals when fourth to Benbatl. "I thought The Cliffsofmoher was a big run from back in the field last Saturday," Cosgrave said. 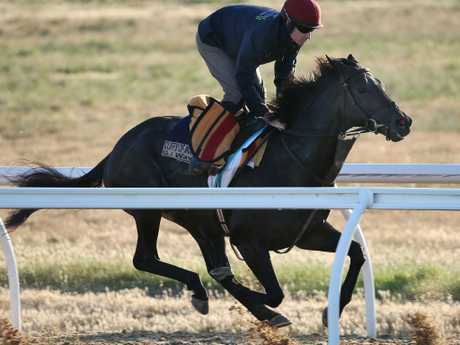 "It was 10 furlongs (2000m) and I think he'll improve going up to 2400m. "I think he's one of our dangers but there are quite a few horses in the race with chances. "I've only got to give him a kilo, which is not so bad. "I think it's gonna be a fascinating race but he was one of the eye-catchers last week, coming off the speed." The Cliffsofmoher is a Ladbrokes $7 third favourite behind Kings Will Dream ($5) and Youngstar ($6). Best Solution, a dual Group 1 winner, is quoted at $15 - a figure which astounds Cosgrave. "He has got topweight for a reason, the handicapper thinks he is the best horse in the race," Cosgrave said. "I was surprised he was such a big price, he's a dual Group 1 winner from the UK, and he seems to have improved the last six months since coming back from the UAE. "I suppose it takes a bit of pressure off me being such a big price, which is good in a way. Hopefully he is going to run a nice race." Cosgrave's main issue is navigating a winning path from gate 17. "Everyone keeps telling me it's a problem, it's not ideal," he said. "But someone has to be drawn 17, someone has to be drawn outside me which is even worse. "It's one of those things, it's going to make my life a little more difficult, but who knows what a good draw or a bad draw is. "Some people tell me that (barrier) one is the worst draw to get, but I was hoping to be drawn one before the draw came out. "I can't do anything about it, so let's get on with it." 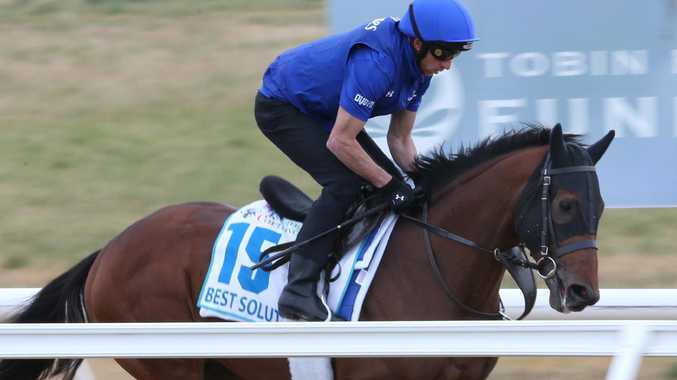 Cosgrave is confident Best Solution, who boasts six wins at 2400m from 11 attempts, has the necessary qualities to overcome adversity and class opposition. "He's quite straight forward to ride," Cosgrave said. "I can probably ride him any way I want. I can ride him forward and hopefully get in. "If I don't, so be it. Just got to go to plan B." Meanwhile, Anna Lisa Balding is adamant Duretto is not in the $5 million Caulfield Cup merely to make up the numbers - and several keen Werribee observers agree. While some form students believe Duretto will be better suited in the Melbourne Cup, Balding says the seasoned raider is primed for a big run. 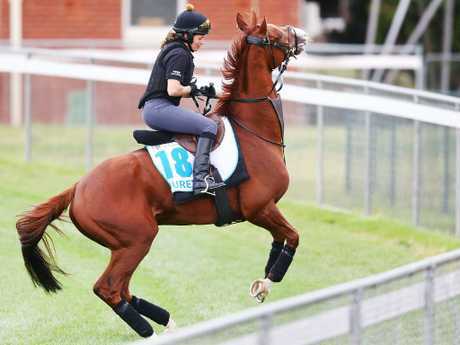 "The Melbourne Cup is the big dream that we all have but the Caulfield Cup is also a really great race," Balding said. "He is there to win it on Saturday if he's good enough. "Really well, I'm incredibly happy with him. "He's really settled. He's a buzzy horse at home and he's just loving it out here." Balding, representing her husband and trainer Andrew, said Duretto ($21) had the speed to exploit barrier one and take a handy position. "He's a straight forward horse. He loves racing and that is such a help," she said. "He's in great form and fingers crossed. "He's got a good chance, he's slightly under the radar. "It's difficult to equate the English form to the Australian form. "He loves Chester, which is more like Moonee Valley. 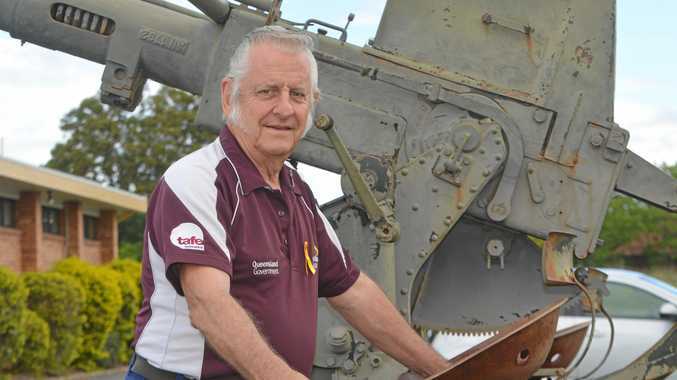 "He's drawn one, he breaks well and we want him to get a bit of cover. "As a long-distance horse, he's actually got a turn of foot so hopefully he can bring it in that final furlong." Balding's Park House stables operation will have four Group 1 runners this week. "It would be nice to win one of them, hopefully Duretto," Balding said.